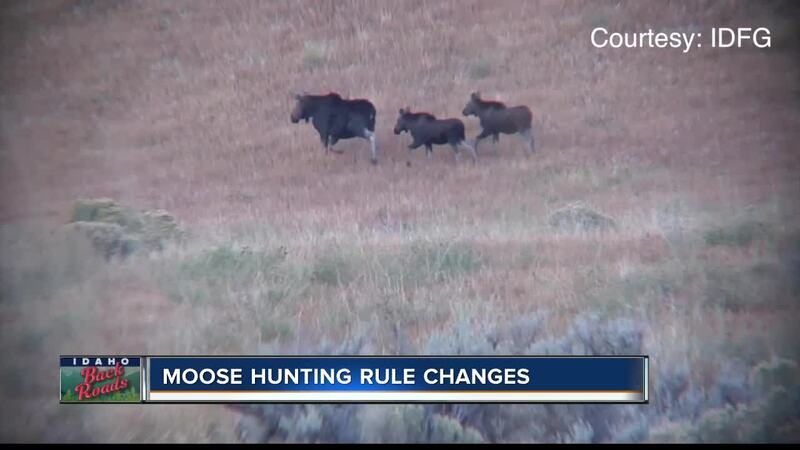 If you're a moose hunter, your opportunity just got smaller. Thursday, the Idaho Fish and Game Commission reduced the number of moose tags available to hunters. In the panhandle and eastern Idaho, Fish and Game estimates a 30 to 60 percent decline. Researchers say the decline can be blamed on several factors including habitat changes, parasites and predators, including wolves. "Wolves are definitely something we are looking into," said Wildlife Biologist Hollie Miyasaki. "We're looking more specifically at populations to see if we can identify them as a main factor in declines anywhere in the state." Researchers are collaring moose as part of that research. They hope to have more solid information a year from now. Overall, the Commission dropped 201 moose tags, which is nearly 25-percent of the tags available last season. While populations are declining up north and in eastern Idaho, they are up in the Magic Valley, where the Commission actually made a few new tags available.